People, places, and things of note. Violin maker, cellist, string repair technician, and sound man. Ben is the best bet for keeping your post-apocalyptic string quartet on the road. Virtuoso rock guitarist, member of the Joe Cool Band, founder of cyberjammin.com, and all around good guy. Lessons, essays, reviews, transcriptions... You could spend years shedding the material on this site. Musician/Guitarist/Performer/Songwriter/Composer & Producer. Craig is another teacher at Guitars, Etc. and is one of the finest country players around. I steal his riffs almost daily. Outstanding oudist and member of Yeni Türkü. Celtic rock brought to you by Liam O'Beirne and the letter J. 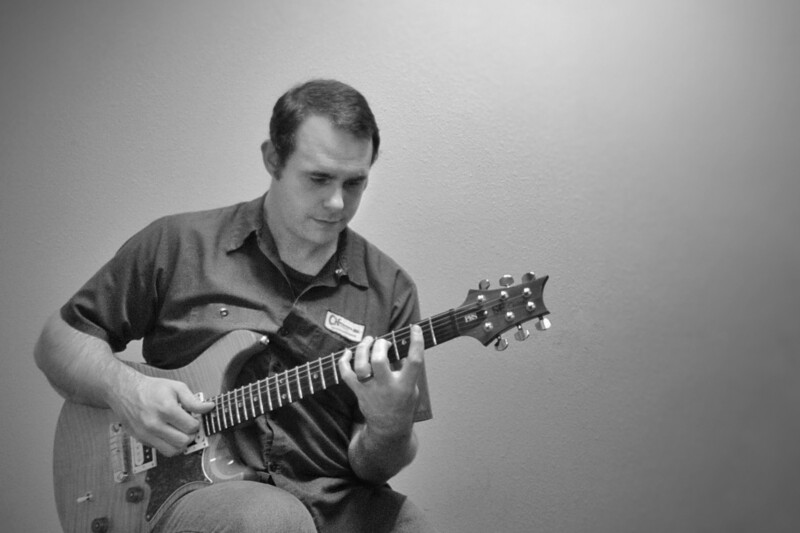 Classical and rock guitar performance and instruction in Longmont, Colorado. Longmont, Colorado based free-lance drummer and teacher. One of the best resources on the net for classic swing guitar. Rich is a killer rock drummer and teaches as well as he plays. He's one of Colorado's best, and Guitars, etc. is lucky to have him on staff. Irish jazz bassist and author of "Creative Rhythmic Concepts for Jazz Improvisation". Freelance drummer and teacher in Denver, Colorado. Oskar Blues brings their commitment to live music and great beer to Longmont. Indigent Row never sounds better than when we play here. One of my favorite places to play. Freshly prepared locally-sourced food, a nicely stocked bar (including craft beers), and a great sounding room for acoustic jazz. Great sounding acoustic and jazz amplifiers. Custom handmade acoustic guitars, electric guitars, and mandolins. Makers of the Electric Mistress, Big Muff Pi, and various other somewhat obscenely named pedals. Instruments that are practical, gig-worthy, and occasionally delightfully bizzare.